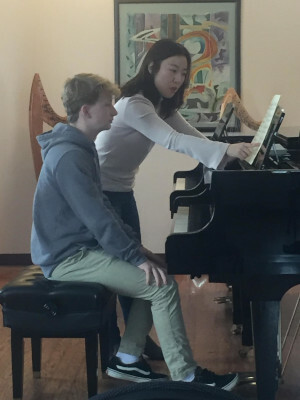 Sarah Darden and Isaac Luther presented works by Haydn, Hovhannes and Beethoven during the masterclass with award-winning pianist Kyoo Hye Lim. World Music Workshop Saturday, February 23rd, 2019 St. Paul's Episcopal Church, 221 Union Street, Cary (map) From 9am to 12noon (Registration & check in at 8:45). Spent a day traveling around the world through music and games. Sang a song in Chinese, played a game from Colonial America, jumped with sticks in rhythms in Philippine tinikling, explored world rhythms in a drum circle and learned what children like to play in Russia. Students in Grades 1-5 were invited to join in the "World Music Games and Drum Circle" Workshop on Feb. 23 from 9am-noon. The cost was $12 before Feb. 15 and $15 after that. Click for a registration form and a flier to share with a friend! Piano Recital (flier) Friday, February 8, 2019 at 7:30 p.m. Kyoo Hye Lim presented an eclectic program of solo piano works by Haydn, Satie, Debussy and Chopin at the Cary Arts Center 101 Dry Ave., Cary, NC (map). ADMISSION FREE. 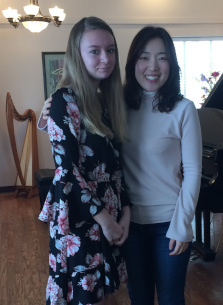 A native of Korea, Lim was awarded scholarships to study in Singapore, at Peabody Conservatory, and at the University of Michigan where she received her Doctor of Musical Arts degree. In fall of 2016, she joined the piano faculty at the University of North Carolina at Greensboro. She now resides in Paris, France. She has successfully competed and performed internationally as a soloist and a collaborative pianist. Listen to some of her recordings here. Duo Piano Recital Friday, November 17, 2017 at 7:30 p.m. Kerry Henry and Tonya Kirk presented an evening of stunning piano duets at the Cary Arts Center (101 Dry Ave., Cary, NC). ADMISSION FREE. Kerry Henry resides in Durham and teaches with two partner teachers at her studios in Durham. Tonya Kirk has been involved with the North Carolina Music Teachers Association board in various capacities with the most recent being Piano Section Chair. See the flyer and registration form. Acclaimed pianist Paul Stewart presented a free recital on Feb. 10 at 7:30 p.m. at the Cary Arts Center (101 Dry Ave., Cary, NC). Praised for his interpretations of composers of multiple eras, Dr. Stewart recently retired as the head of the piano department at UNC-Greensboro. His program included interpretations of classical masterpieces as well as ragtime gems. This project was supported in part by a grant from the Lazy Daze Arts & Crafts Festival—a Town of Cary based festival supporting local arts and non-profit organizations and activities. Students of CAPTA teachers performed Christmas music. Students brought their favorite Christmas songs to play for the residents. A flyer was available to help spread the word. CAPTA Year Began The first meeting of the 2016-2017 year was on September 8, 2016 at 9:30 a.m. at the Cary Arts Center. Current and prospective members were invited to attend. 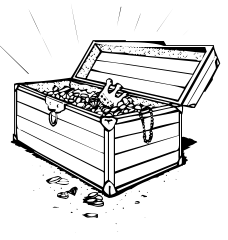 See the Joining CAPTA link to the right (Under "Referrals") for more details. $10 advance registration, $12 at the door. St. Paul’s Episcopal Church, 221 Union Street, Cary See the flyer and registration form. Pianist Henry Doskey, retired Keyboard Department Chair from East Carolina University and William Gillock's official interpreter, presented a free recital at 7:30 p.m. at the Cary Arts Center (101 Dry Ave., Cary, NC). The program included Haydn's Sonata in c minor (Hob. XVI:20), five Debussy preludes, Beethoven's Sonata No. 32 in c minor (Op. 111), and Gillock's Sonatine. Dr. Doskey also conducted a master class the following morning for CAPTA students. Contests and giveaways all night long. If you told 'em you were with CAPTA, PDQ would donate 10% of your bill to CAPTA. You can still grab a flyer. CAPTA teachers provided sign-up details. CAPTA Year Began The first meeting of the 2015-2016 year was on September 10, 2015 at 9:30 a.m. at the Cary Arts Center. Members and prospective teachers were invited to attend. See the Joining CAPTA link to the right (Under "Referrals") for more details. Versatile pianist John Salmon presented a free recital on Nov. 7 at 7:30 p.m. at the Cary Arts Center (101 Dry Ave., Cary, NC 27511). Praised for his interpretations of composers of multiple eras, Mr. Salmon teaches on the piano faculty at the University of North Carolina at Greensboro. He was a close friend and collaborator with the late Dave Brubeck. His Cary recital included Bach Inventions, a Beethoven Sonata, a Chopin Ballade and several Brubeck selections. This project was supported in part by a grant from the Lazy Daze Arts & Crafts Festival—a Town of Cary based festival supporting local arts and non-profit organizations and activities. Students developed increased music awareness through interactive rhythm, technology, theory, and movement classes. They used their detection skills to learn the secrets of making beautiful music. This workshop was sponsored by the Cary Apex Piano Teachers Association and the Town of Cary. It was open to all music students who like to have lots of fun while learning more about the foundations of music. Cary Lazy Daze Festival Saturday, August 23, 2014 9 a.m.–5 p.m. in Downtown Cary. CAPTA representatives were glad to talk about CAPTA membership and events. Free bookmarks! Award-winning pianist Derison Duarte presented a free recital on Nov. 1 at 7:30 p.m. at the Cary Arts Center (101 Dry Ave., Cary, NC 27511). Mr. Duarte currently teaches on the faculty of Duke University, North Carolina Central University and The University of North Carolina at Chapel Hill, where he is the director of the new Community Music School. Free Admission CAPTA shared its best with the public in this recital at the Cary School of Music (201 West Chatham Street, Cary, NC 27511). Winners of the Sonatina (2:30 p.m.) and Bullard Competitions (4:00 p.m.) repeated their award-winning performances and celebrated their months of hard work. Well known pianist Andrew Willis presented a free recital on Nov. 16 at 7:30 p.m. at the Cary Arts Center (101 Dry Ave., Cary, NC 27511). Mr. Willis specializes in historic piano interpretations and has made numerous recordings which have been lauded by The New York Times and others. He has performed throughout the Eastern Seaboard area and teaches on the piano faculty at the University of North Carolina at Greensboro. He also directs the much-acclaimed biennial “Focus on Piano Literature” at UNC-G. The Cary-Apex Piano Teachers Association sponsored the conert, which was free and open to the public. This project was supported in part by a grant from the Lazy Daze Arts & Crafts Festival—a Town of Cary based festival supporting local arts and non-profit organizations and activities. Free Admission CAPTA shared its best with the public in this highly anticipated recital at the Cary School of Music (201 West Chatham Street, Cary, NC 27511). Winners of the Sonatina (2:30) and Bullard Competitions (4:15) repeated their award-winning performances and celebrated their months of hard work. This flyer contains the registration form and fee schedule. Winter Student Recital Sunday, February 12, 2012, 2:00 p.m. and 3:30 p.m. at the Glenaire Retirement Center, (400 Glenaire Circle, Cary, NC 27511). Free and Open to the Public. An enjoyable afternoon of music performed by students of CAPTA teachers — from young beginners to advanced teenagers — these students showed the fruits of their hard work and love for music through a variety of music. Concert pianist and nationally recognized teacher Sheila Paige conducted a masterclass for students of CAPTA members on November 5 at 9:30 a.m. in the theatre of the Cary Cultural Arts Center. Ms. Paige is known for her extensive work with Dorothy Taubman as well as her training in Alexander Technique which she has refined to support her work with keyboard wellness. This masterclass was free and open to the public. Sheila Paige, Executive Director and founder of the Keyboard Wellness Seminar and visiting artist at Cleveland State University, presented a piano recital of Bach/Busoni, Mozart, Prokofiev and Chopin November 4, 2011 at 7:30 p.m. in the newly renovated theatre of the Cary Cultural Arts Center. 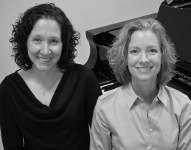 The Cary-Apex Piano Teachers Association sponsored the concert, which was free and open to the public. The Cary-Apex Piano Teachers Association (CAPTA) held a Magical Musical Academy for piano students grades 1-6 on Saturday March 19th at St. Paul’s Episcopal Church in Cary. Students filled their musical bag of tricks as they interacted with other students at this fun educational activity. Classes included theory games and ear training, drums and rhythm, and an arts integration class focused on connections between music and visual art. Students created a rhythm instrument that they could take home. Winter Student Recital Sunday, February 20, 2011, 2:00 p.m. and 3:30 p.m. at the Glenaire Retirement Center, (400 Glenaire Circle, Cary, NC 27511). Free and Open to the Public. An enjoyable afternoon of music performed by students of CAPTA teachers, from the adorable beginners to the impressive advanced teenagers, these students showed the fruits of their hard work and love for music through a variety of music. Holiday Fest Students of member teachers performed for the general public at Borders Books (1751 Walnut Street, Cary, NC 27511) throughout the day on Saturday, December 11, 2010. Fall Student Recital Sunday, Sunday, November 14, 2010 2:00 p.m. and 3:30 p.m. at the Glenaire Retirement Center, (400 Glenaire Circle, Cary, NC 27511). Free and Open to the Public. An enjoyable afternoon of music performed by students of CAPTA teachers, from the adorable beginners to the impressive advanced teenagers, these students showed the fruits of their hard work and love for music through a variety of music. Keiko Sekino, a piano professor at East Carolina University, presented a sonata recital with works by Domenico Scarlatti, Wolfgang Amadeus Mozart, and, on the 200th anniversary of his birth, Robert Schumann on Friday, October 29, 2010 at 7:30 p.m. at Greenwood Forest Baptist Church, (110 SE Maynard Road, Cary, NC 27511-4599). (program) Free and Open to the Public The piano for this concert was generously provided by Hopper Piano and Organ Company. Recital by Fabulous Cary Kids Advanced students presented a recital at the Hopper Piano Company (1800-A Tillery Place Raleigh, NC 27604) at 3:00 p.m. Sunday, October 24, 2010 to support the fund raising efforts for a piano in the new Cary Community Art Center. Spring Fest Saturday, April 24, 2010 10:00 a.m. to 6:00 p.m..
Students of member teachers performed for the general public. Honors Recitals Sunday, March 21, 2010 Free Admission CAPTA shared its best with the public in this highly anticipated recital at the Cary School of Music (201 West Chatham Street, Cary, NC 27511). Winners of the Sonatina, Composition, and Bullard Competitions repeated their award-winning performances and celebrated their months of hard work. This flyer contains the registration form and fee schedule. Note: The January workshop date was changed to February 13 because of weather. Holiday Fest Students of member teachers performed for the general public at Borders Books (1751 Walnut Street, Cary, NC 27511) 10:00 a.m. to 6:00 p.m. on Saturday, December 5, 2009. Fall Student Recital Sunday, November 22, 2009 2:00 p.m. and 3:30 p.m. Glenaire Retirement Center, Cary Free and Open to the Public Join us for an enjoyable afternoon of music performed by students of CAPTA teachers. From the adorable beginners to the impressive advanced teenagers, these students show the fruits of their hard work and love for music through a variety of music. The piano for this concert was generously provided by Hopper Piano and Organ Company. Student Winter Recital Sunday, February 15, 2009 at 2:00 p.m. and 3:30 p.m., Glenaire Retirement Center, Cary, North Carolina. The public is invited to attend either recital to hear a wide range of students perform. Holiday Fest Students of member teachers performed for the general public at Borders Books (1751 Walnut Street, Cary, NC 27511) throughout the day on Saturday, December 6, 2008. Jim Hover from the Steinway Company will give a free presentation for the public on "Music, Piano, IQ, and YOU" highlighting current research on music and brain research. Saturday, November 22, 2008, 2:00 p.m. Carswell Hall, Meredith College Participants will be given a DVD as well. Call (919) 233-5200 for more details. Concert pianist Mayron Tsong is in the Department of Music at the University of North Carolina, Chapel Hill. $5.00 with registration prior to 10/01/08; $10.00 with registration after 10/01/08 Come feel the beat: Rhythm Twister, Orff Instruments, African Drumming, Rhythm Track and Field, Ensemble Rhythm Instruments. See flyer for application. Competition and Honors Recital Sunday, April 20, 2008 Free Admission CAPTA shared its best with the public in this highly anticipated recital. Winners of the Sonatina and Bullard competitions repeated their award-winning performances and celebrated their months of hard work. Composition Masterclass Saturday, March 15, 2008 10:30-noon Free Admission Budding composers share their award-winning music in a new venue! Watch the creative process at work as CAPTA students share their compositions and receive feedback from respected judges. Winter Student Recital Sunday, February 17, 2008 2:00 p.m. and 3:30 p.m.- Free Admission Join us for yet another enjoyable afternoon of music performed by students of CAPTA teachers. From the adorable beginners to the impressive advanced teenagers, these students show the fruits of their hard work and love for music through a variety of music. Please contact a member of CAPTA for location information. Faculty Recital Sunday, February 3, 2008- Ruggero’s Piano, Raleigh, NC 3:00 p.m.- Free Admission You knew they could teach, but wait until you hear them play! Come and hear the teachers of CAPTA perform their favorite works by well-known (and not so well-known) composers. Sometimes fun, sometimes serious, but always beautiful, come join us for an afternoon of fantastic performance by the teachers you know and love. Holiday Fest Saturday, December 1, 2007- Border's Books & Music, Cary 10:00 a.m. until (Depends on how many teachers sign up.) Call Dean Leviner to sign up for a time. Fall Student Recital Sunday, November 11, 2007 2:00 p.m. and 3:30 p.m.- Free Admission Join us for an enjoyable afternoon of music performed by students of CAPTA teachers. From the adorable beginners to the impressive advanced teenagers, these students show the fruits of their hard work and love for music through a variety of music. Please contact a member of CAPTA for location information. Milton Laufer, Masterclass Greenwood Forest Baptist Church in Cary, Saturday, October 27, 2007, 9:30 a.m.-12:30 p.m. Free Admission Watch as Milton Laufer inspires and instructs local students in their study of piano literature. Come to learn a few hints for yourself, or to simply enjoy the performances of local musicians. Saturday, December 9, 2006, 10:00 a.m. until. Sunday, December 3, 2006, 2:00 p.m.
To provide its members with opportunities for professional growth and mutual support and encouragement. To promote excellence in teaching and provide opportunities for students to learn the art of piano playing at its highest level. To provide opportunities for our students to develop their skills by sponsoring competitions and performance opportunities. To give our students theory skills which will be encouraged through the theory testing, the Lamp of Learning Program and the Composition Competition.